Domain acquisition and registration can be a tricky process, especially if you’ve never done it before. You need to find a registrar and then search for the right name, and then setup the technical parts correctly — otherwise your website won’t work! Forget about all that. You don’t need to fill out any forms or worry about Nameservers, DNSSEC, DNS records, or any of that technical jargon. Your account manager can handle the whole process for you. Simply give them a call or send them an email with the domain name you want, and it will be taken care of for you. If the domain that name you want is already taken, your account manager can contact the existing owner and make an offer on your behalf. Dont have an account manager yet? © 2018 Surgenomics. All Rights Reserved. Fill out the form below and one of our representatives will be touch with you shortly. Once you submit the form below a representative will contact you with more information on how we will start the Business Listings Submission for your business. 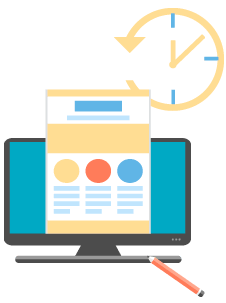 Once you submit the form you will be shown a step-by-step video outlining exactly how our system encourages your customers to leave you positive reviews with a very high success rate.